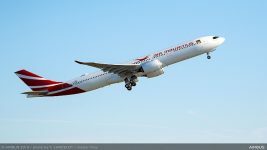 Hainan Airlines has completed the first commercial flight of its first Airbus A350. Hainan Airlines flight HU7607 flew from Beijing to Shanghai Hongqiao International Airport arriving at 11:00 am on October 13 Beijing time. The A350-900 provides passengers with a new level of experience with its leading modern cabins. The new A350-900 aircraft have a two-class cabin layout in two different versions. Layout 1 comprises a total of 334 seats, including 33 Business Class seats arranged in a staggered 1-2-1 configuration. Economy Class adopts a 3-3-3 configuration, with 193 seats having a seat pitch of 31 inches, plus 108 extra-legroom seats at the front of economy with a pitch of 34 inches. Layout 2 has a total of 339 seats, including 30 Business Class seats arranged in a straight-row 2-2-2 configuration. Economy Class adopts a 3-3-3 configuration, with 246 seats having a seat pitch of 31 inches, plus 63 extra-legroom seats at the front of economy with a pitch of 35 inches. Every seat on the aircraft comes with seat-back entertainment . The Layout 1 aircraft type is also equipped with Nespresso capsule coffee machines featuring fully automatic one-touch brewing technology, to meet the need for different types of coffee. The airline offers self-service check-in kiosks at a number of airports in China. 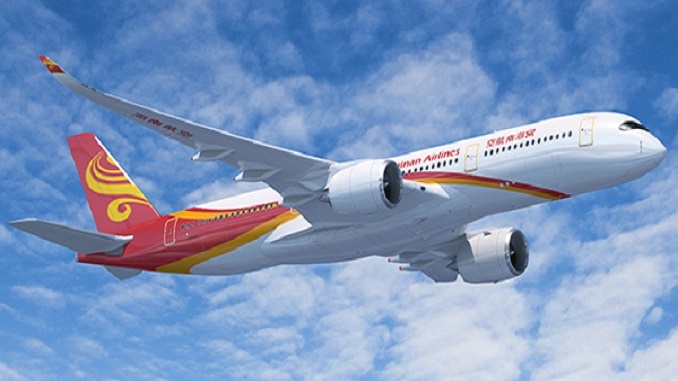 Hainan Airlines is headquartered in Haikou, People’s Republic of China. 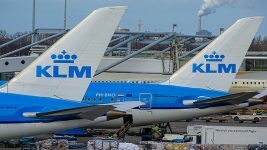 It is the largest privately owned air transport company and the fourth largest airline in terms of fleet size in the People’s Republic of China. Routes: Hainan Airlines operates scheduled domestic and international services from Hainan and multiple locations on the Chinese mainland, as well as charter services.